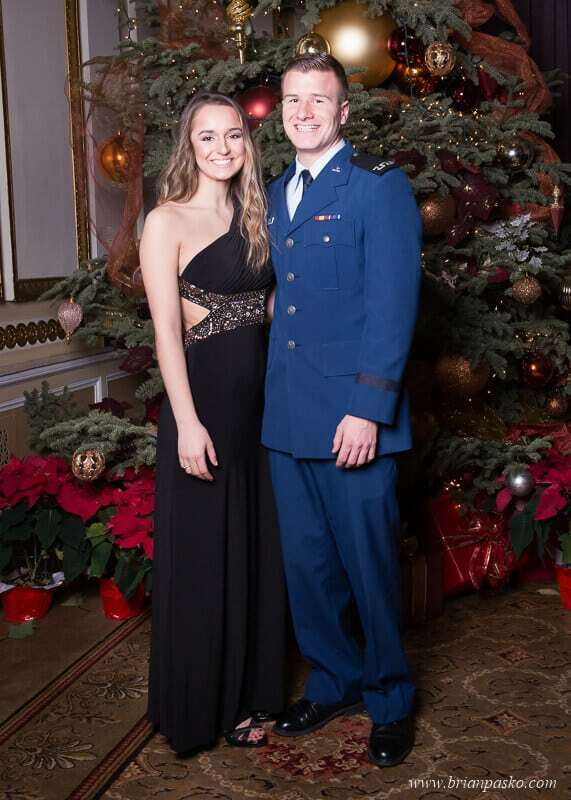 Over the holidays I had the honor of photographing the All Service Academies Military Ball at the Benson Hotel in Portland, Oregon. 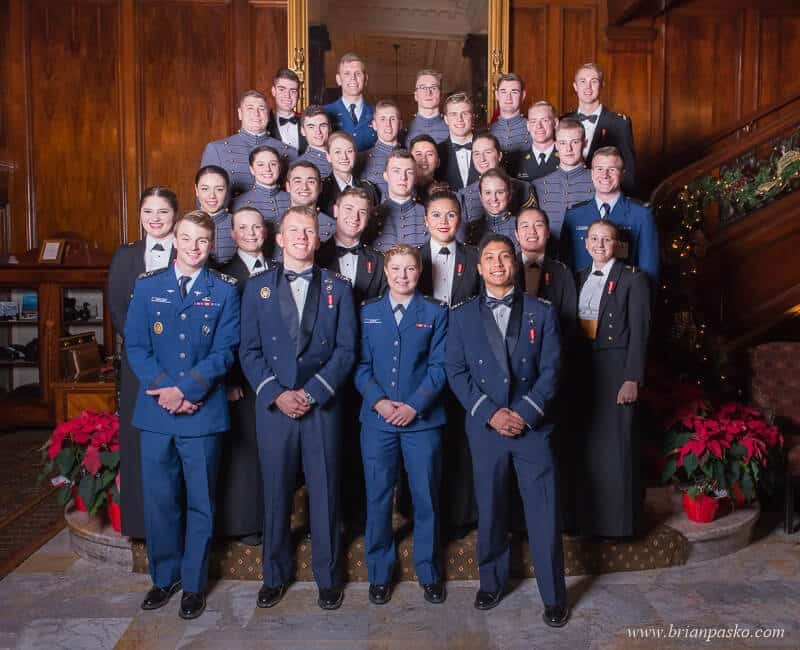 It’s a prestigious affair for Oregon and Southwest Washington cadets and their families who are enrolled in the Navy, Air Force, Army, Coast Guard and Merchant Marine Service Academies. 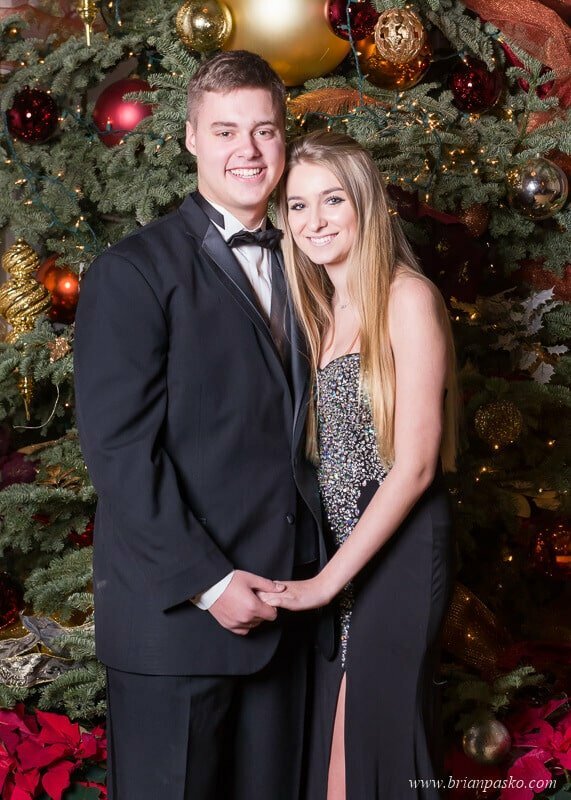 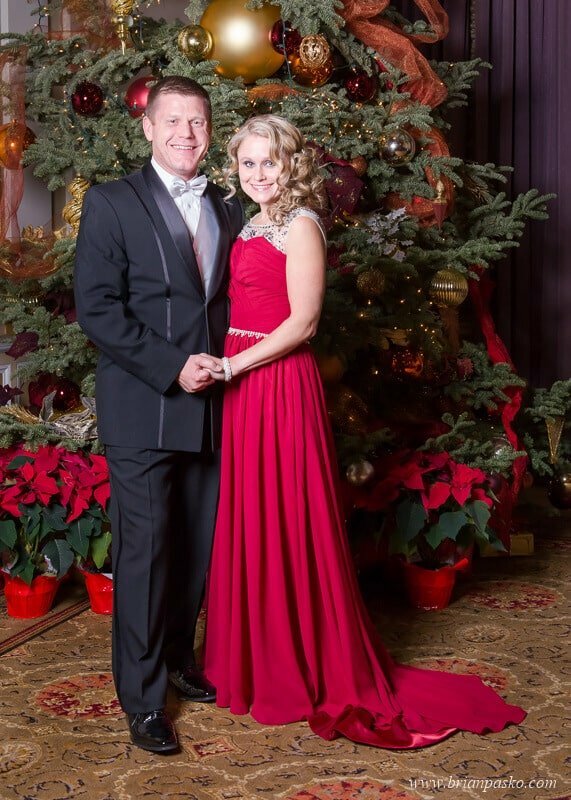 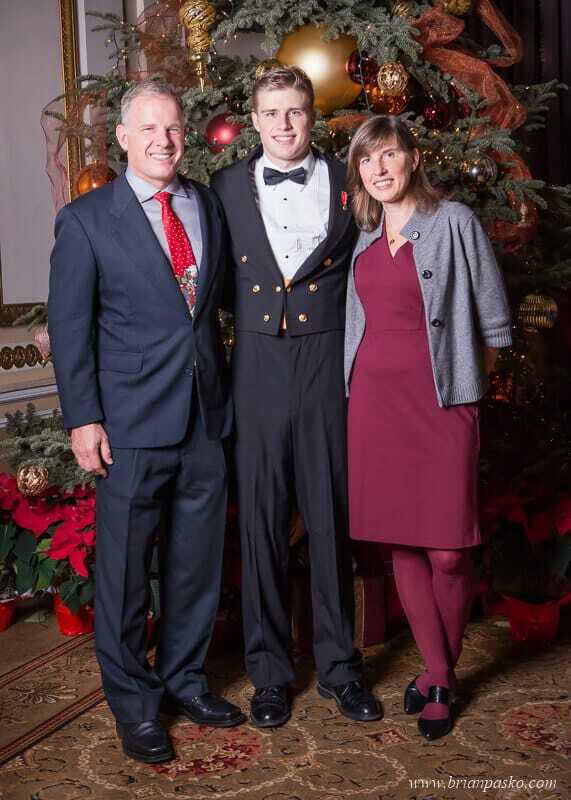 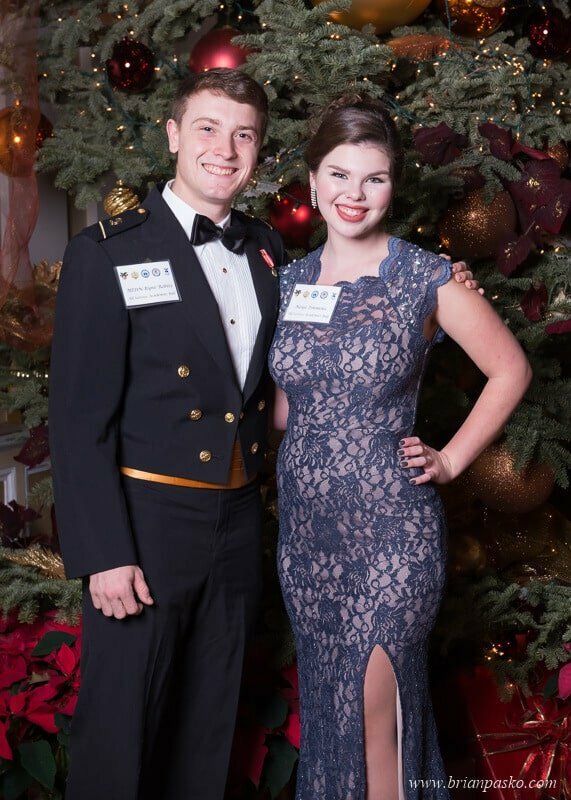 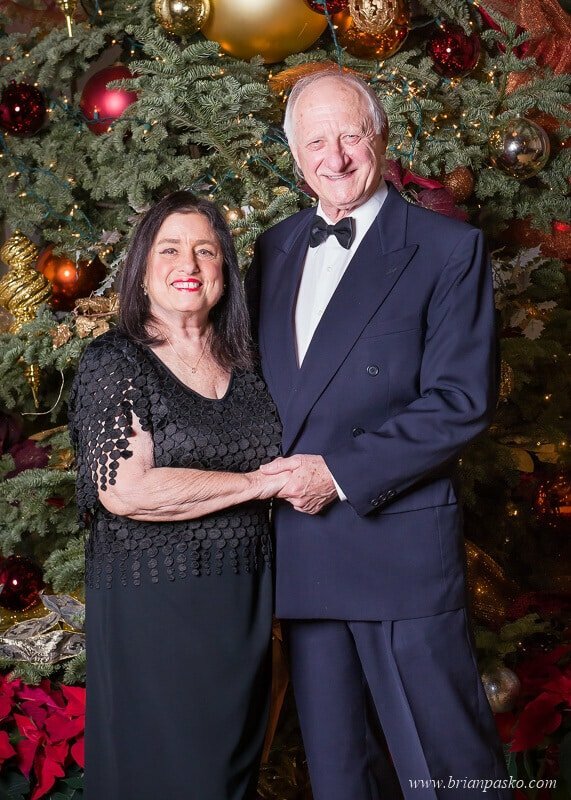 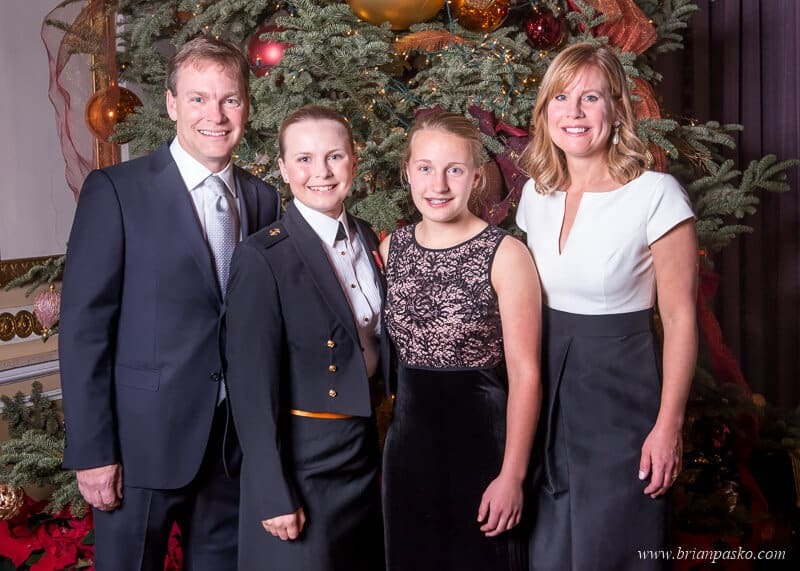 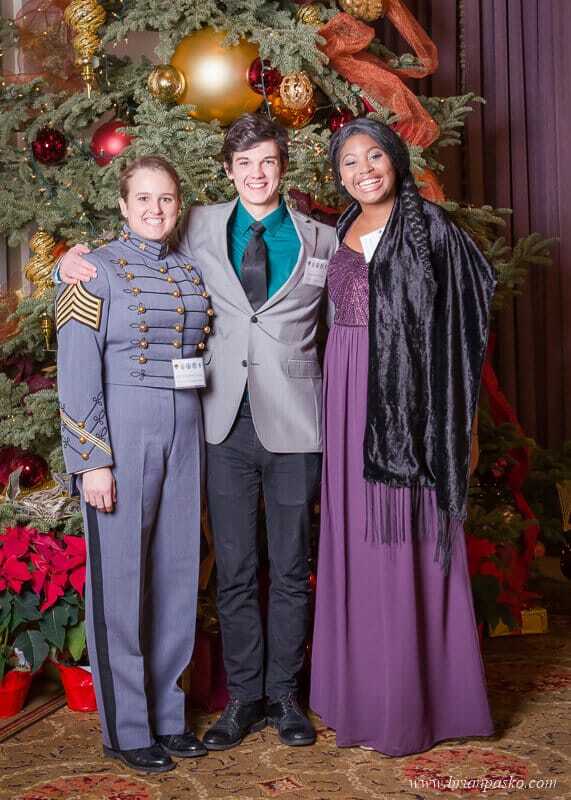 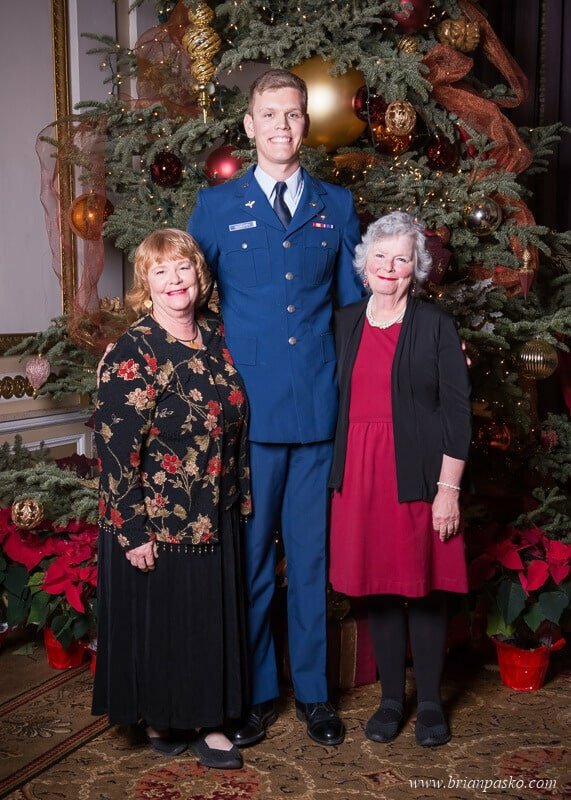 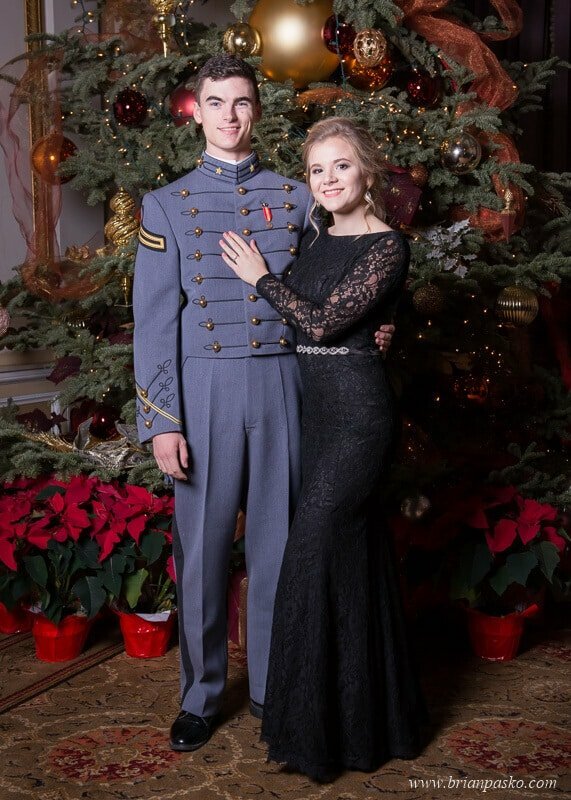 The evening began with a cocktail hour, where the military cadets posed for formal portraits with their dates and families in a beautifully decorated room at the Benson Hotel. 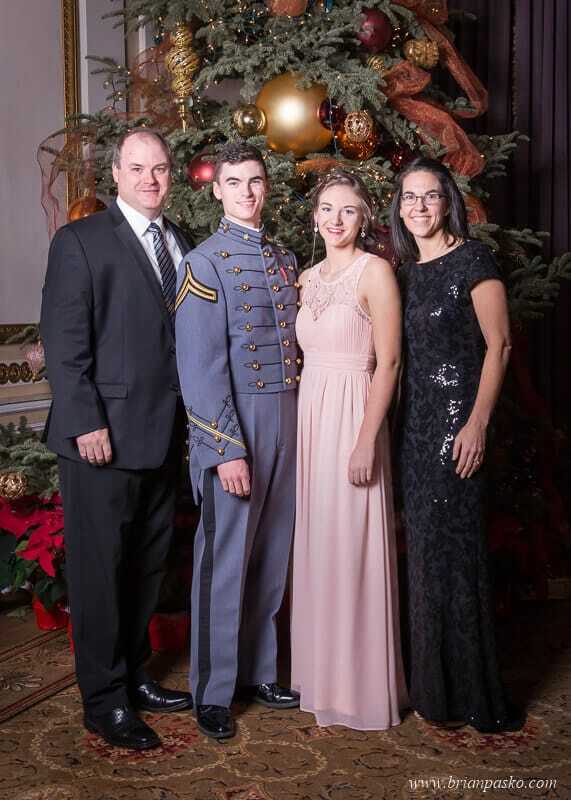 A tall Christmas tree decorated with lights, large bulbs and lace added a touch of holiday spirit to the event. 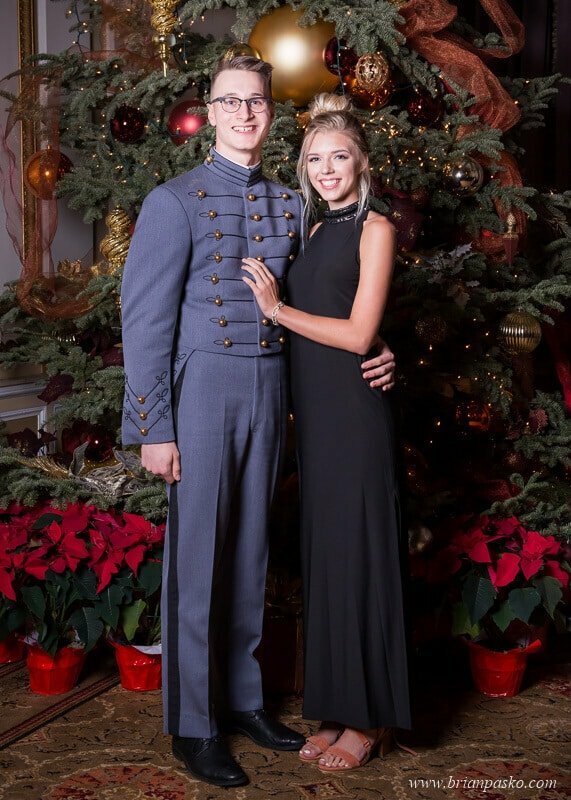 The cocktail hour was followed by dinner and a formal ceremony complete with a military color guard, numerous toasts, and speakers that included several Generals. 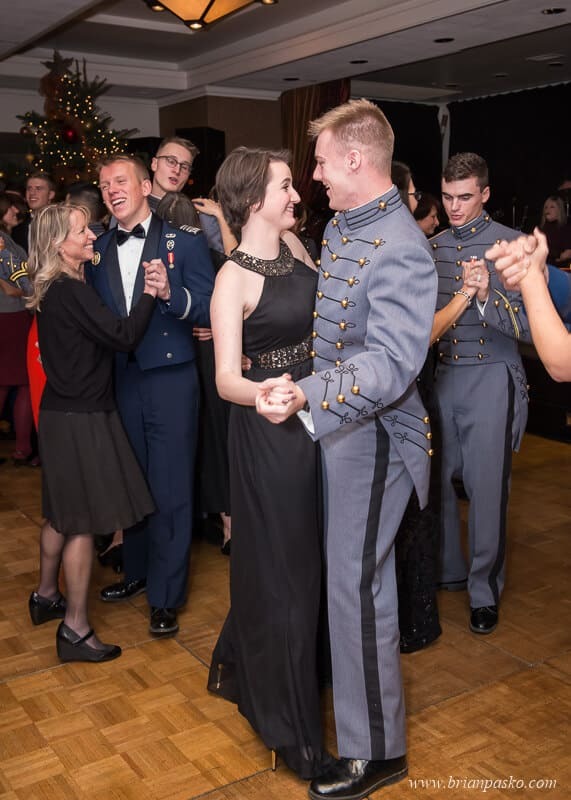 And then the cadets and their families danced the night away. 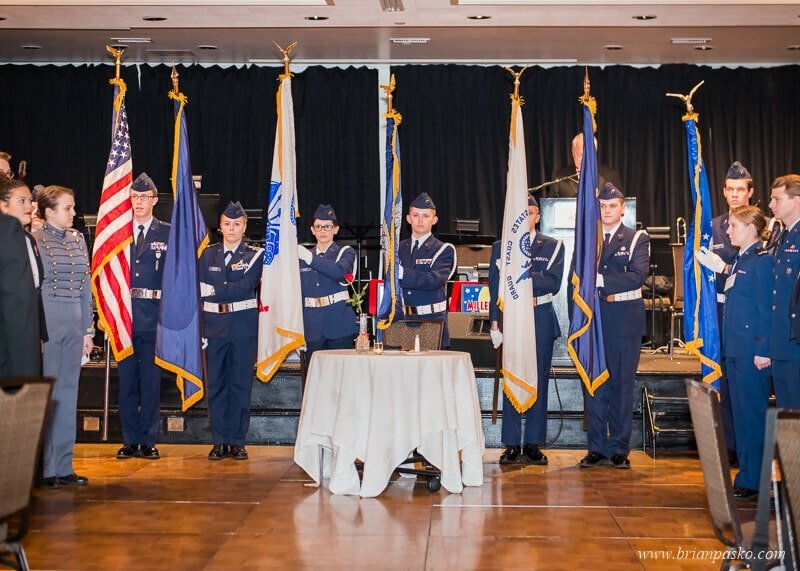 If you are in need of professional photography for an upcoming event, don’t hesitate to contact Brian Pasko Photography for more information about the services we can provide.